There are four layers in our planet. The crust is the thinnest and outermost, solid, layer of the earth. The mantle is the largest, partially melted, layer of the planet. The core has two layers. The outer core is liquid, and some quakes cannot pass through it. 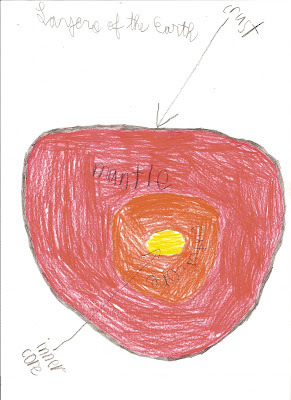 The inner core is the hottest layer of the earth. It is solid, made up of iron and nickle, and is magnetic. The ground beneath us holds many secrets and is more incredible than we might ever know!